Here’s a cool image, courtesy of the California State Archives. 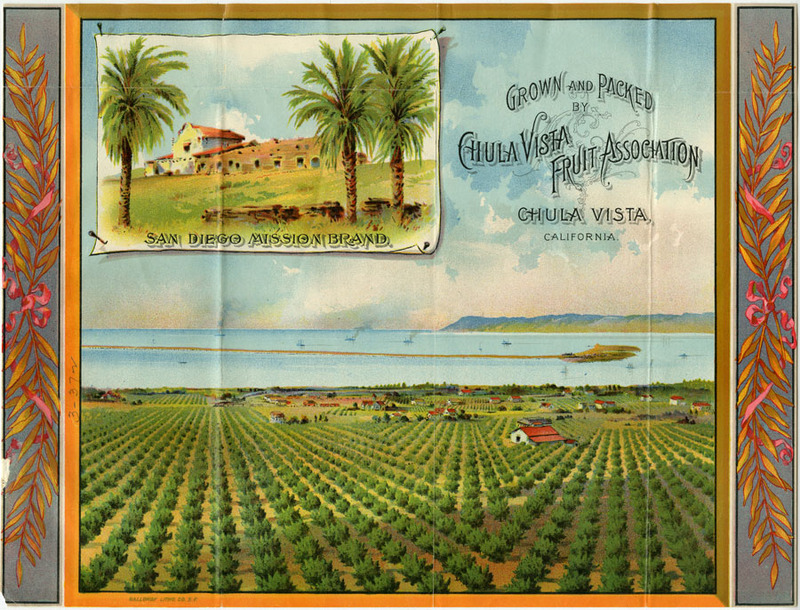 Nice shot there of Chula Vista as it once was, along with the original Mission San Diego de Alcala and Point Loma in the background. The label also represents a lesson in branding history. It’s part of a collection of trademarks filed with the California Secretary of State’s office between 1861 and 1900. There are nearly 4,000 of these images on file, and they were digitized and released online by the state this past April 21, thanks to a grant from the U. S. National Archives’ National Historical Publications and Records Commission (NHPRC). I’ll be revisiting this website, called California’s Old Series Trademarks, on future posts for sure. For now, if you’d like to check it out, visit http://www.sos.ca.gov/archives/trademarks .